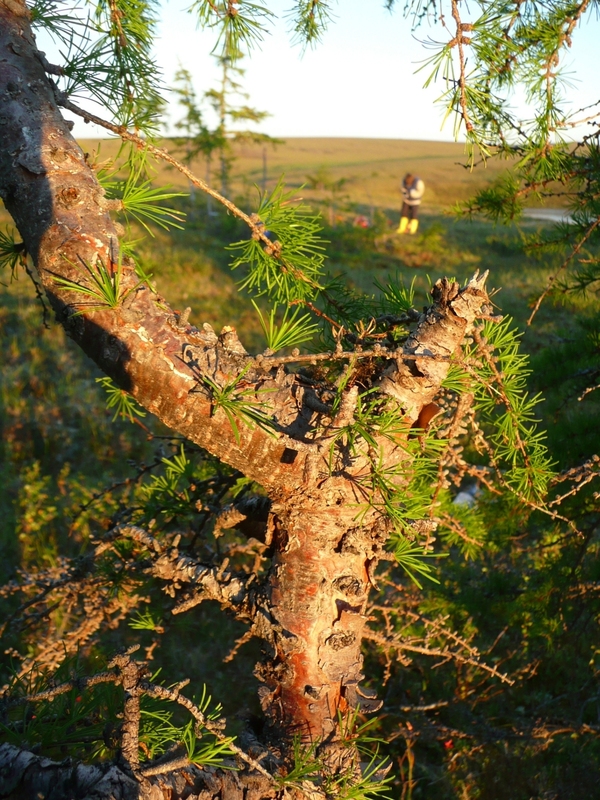 In Summer 2011, I conducted fieldwork at 72.4° N to study the stand structure of Larix gmelinii. As the summer sun shines all day long, there was plenty of time for work. 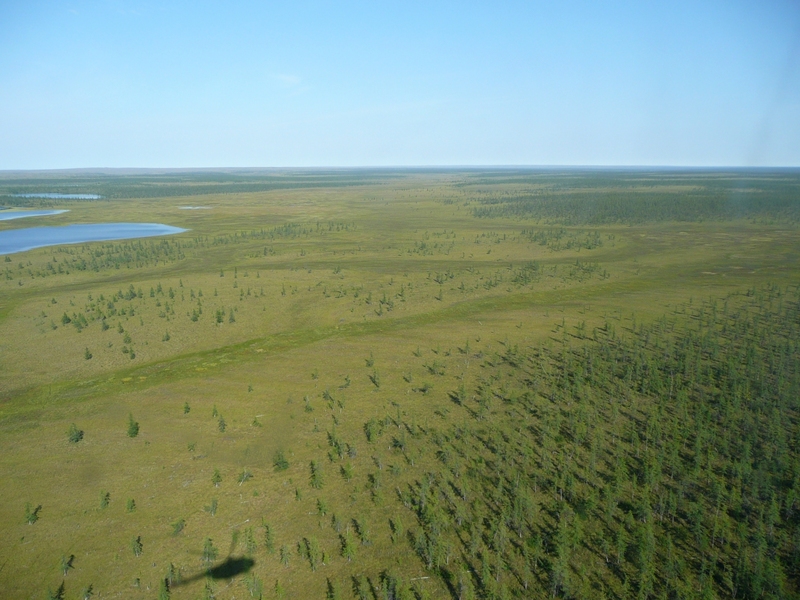 The treeline near the Taimyr peninsula is formed by Larix gmelinii and spans over a wide ecotone from closed forest to the species line. In the course of climate change, it is expected to expand further north, leading to positive feedback between climate and vegetation.